Literally, you can’t mix tea and coffee. So how about making tea out of coffee? Not possible? Surprisingly, it is now possible. Researchers have done a recent study and found that they can make tea using coffee leaves. And the best part about this discovery is that this new tea is considered to be healthier than your regular tea or coffee. As for the taste, this drink made from coffee leaves is less bitter than tea and not a strong as coffee. Additionally, it contains compounds that can help lower a person’s risk of developing diabetes, heart disease and even cancer. Caffeine is also in lower amount which means it is really healthier. Compounds found to be present in coffee leaves are mangiferin which exist in mangoes and have anti-inflammatory properties. High levels of antioxidants were also found. Researchers who made this breakthrough were from the Royal Botanic Gardens in London and Montpellier in France. They saw the potential of coffee leaves which, they claimed are often overlooked owing to the popularity of the coffee seeds and beans. 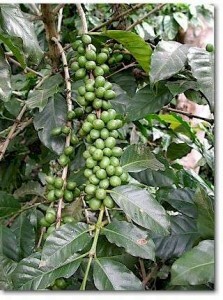 Botanist Dr. Aaron Davies said in the journal Annals of Botany that it was a long time ago in 1851 when people were already referring to the coffee plant as the next tea. He added that people during those olden days were claiming that tea from coffee relieved their hunger and fatigue. If you’re curious and if you can get hold of coffee leaves, why not try this at home and find out for yourself. Today, coffee is a favorite drink of adults all over the world. More than 400 billion cups are actually drunk worldwide every year.